Foreign Minister Julie Bishop has been named Australia’s Shared Value Champion at the inaugural Shared Value Awards. The award, presented Tuesday night, recognised Bishop’s commitment to shared value and her leadership in encouraging businesses, government and community organisations to work together in addressing social challenges. “Shared value is a framework for government engagement with the private sector,” Bishop said. She announced the shared value business partnerships in September last year to encourage the private sector to assist in delivering the federal government’s overseas aid program. Peter Yates AM, chair of the Shared Value Project, which presents the annual awards, said the shared value movement benefited from the support of leaders such as Bishop. “The continued adoption of shared value by organisations across Australia is in no small part due to champions such as the Hon Julie Bishop MP, and I recognise the important role each of them play in helping advance the shared value movement in our region,” Yates said. 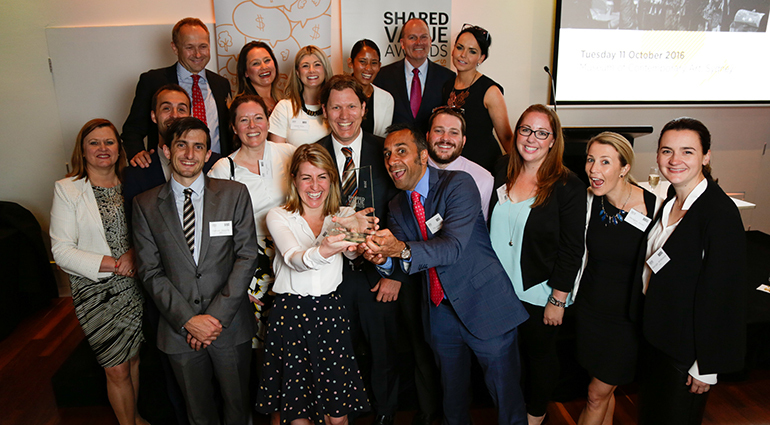 Australian insurance provider IAG took out the award for the corporate organisation leading through shared value. 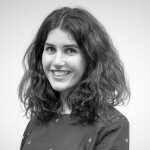 Head of Shared Value at IAG Ramana James told Pro Bono Australia News it was “hugely exciting” to be recognised. “It means recognition for the hard work of lots of people across our organisation,” James said. IAG’s senior executives were at the ceremony to accept the award, which James said was “was a really strong indication of support”. “Our CEO Peter Harmer [was there] last night, along with our group executive from the Office for CEO and our group executive from people, performance and reputation – so the most senior people from the organisation at the event – which demonstrates how important for them it is as well,” he said. James also shared the key lessons IAG has learnt on its shared value journey. “You have to measure the value you create and you have to be able to report on that value, both the community and social value that’s created, but also the business value that’s created,” he said. Good Shepherd Microfinance was named the civil society organisation leading through shared value. Good Shepherd CEO Adam Mooney told Pro Bono Australia News it was important for not-for-profit organisations to join the shared value movement, not just corporations. “Community organisations are an essential part of the shared value concept because we have strengths, we have a connectedness and a trust that the community has placed in us,” Mooney said. Suncorp Group won the shared value project award for Essentials by AAI. The Kwale Cotton Project by Business for Development was named the project to watch, and AIA Australia was named the organisation to watch. The Shared Value Awards recognise new or existing efforts to address complex social challenges while creating measurable economic benefits and improving competitiveness. “The shared value concept continues to grow globally, and certainly in Australia things are progressing, and we thought it was really important to make sure we celebrate the local success stories and use that as a means to encourage and inspire other companies to also consider using shared value principles,” Shared Value Project executive director Helen Steel said when the awards first opened.